Your home is your biggest investment, as well as the most important one. So, it only makes sense to want to take the best care possible of your roofing which offers the most protection from the elements. Getting proactive about preventative care through regular roof inspections is the best way to handle this. But making it a priority to address your need for roof repairs in just as important and spring is the ideal time to do this. Spring is the ideal time to have your roof service needs addressed. For one thing, you should have two inspections every year and spring is the ideal time to schedule one of the two assessments. While a true industry expert can conduct an inspection any time, spring provides the ideal conditions for visibility. The overcast days are gone and it makes it easier to conduct a visual assessment, inside and out. Once the weather is nicer, it is easier to go ahead and take care of repair needs that need to be done. The conditions are not the only thing that are just right once the weather turns nice. This is also the right temperature for the materials that are needed for fixing your rooftop. 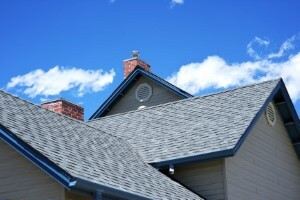 Summer often becomes the busiest time for roofers. So scheduling service before then assures you the appointment time you want and means your roofing contractor will have more time to dedicate to your inspection and repairs. Make the smart call to The Roof Maker, Inc. today for the best possible service and to address your roof repair needs in a timely manner.